১. 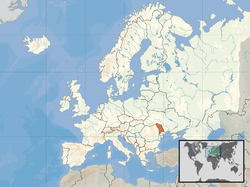 Moldovan is commonly considered another name for Romanian (Gagauz and Russian are also official in the Gagauz Autonomous Region). ২. 2004 census from National Bureau of Statistics. Figure does not include Transnistria and Tighina. ৩. Ranking based on 2005 UN figure including Transnistria.